Not cleaning your fiber optics properly can lead to technical problems and decreased performance from your devices. It is necessary to keep your cables, connectors, and tools clean and in good condition so they are working at 100% capacity. 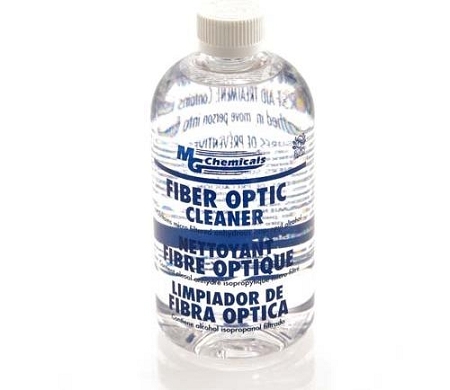 Alcohol is the best solution to kill contamination; Fiber Optic Cleaning bottles and wipes are made to meet ISO 9001 standards, ensuring purity and quality of the product. 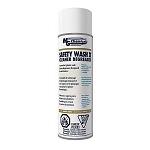 The cleaning solution comes in food grade bottles that have a lockable cap to store unused alcohol, and to keep it safe and away from children. Efficient tools come from efficient care. Conditions to avoid Temperatures over 40°C, ignition sources, and incompatible substances. 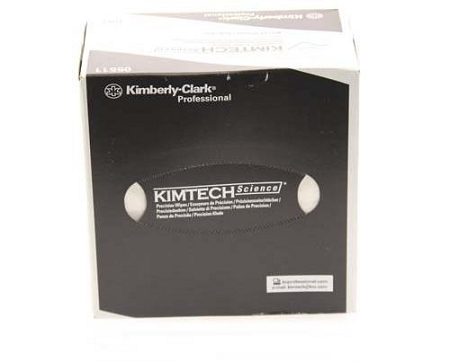 Personal Protection Wear appropriate protective eyeglasses or chemical safety goggles, protective clothing to prevent skin contact, impervious gloves, and a NIOSH approved respirator when adequate ventilation is not available. General Information Will burn if involved in a fire. Vapors can travel to high heat sources and explode. Skin May cause skin irritation with pain and stinging, especially if skin is abraded. Inhalation May cause respiratory tract irritation. Inhaling high concentration may cause central nervous system effects characterized by headache, and dizziness. Ingestion Harmful if swallowed. May cause gastrointestinal irritation, nausea, vomiting, and diarrhea. May cause central nervous system depression. Chronic Skin contact over a long period of time may cause dermatitis.